The Statistics view displays a variety of information panels and charts. Each tab contains a different set of interesting charts and facts. To print a statistics report select the button and click "Print…". Statistic reports support privacy. Fig 1. A statistics summary of a family tree. Fig 2. 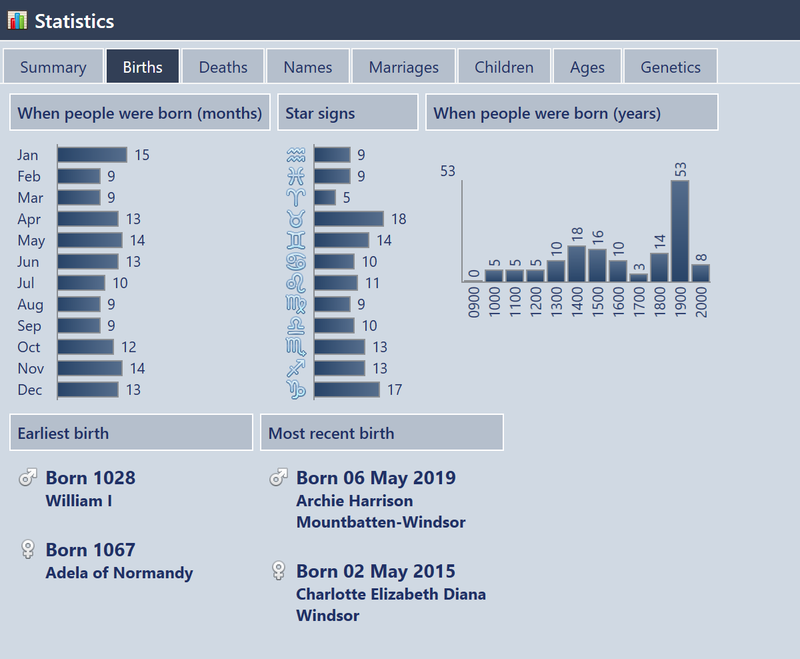 Statistics charts and information panels for birth related information.